The symptoms of menopause can be unbearable and difficult to manage. Hormone replacement therapy can relieve symptoms in the short-term, but for everyday pain management, it is not a viable option. There are several dietary supplements that ease menopausal symptoms on a long-term basis, but they also carry some risks. 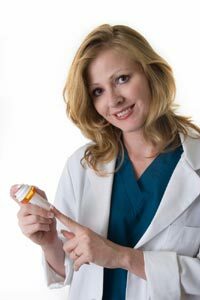 Every treatment has some degree of risk, which we will explain for each of these supplements so you can decide for yourself if they are the right choice for you. Here are 5 of the most commonly used supplements, there benefits and side-effects. This supplement is derived from the root of the North American Black Cohosh plant and is said to relieve vaginal dryness, hot flashes, moodiness and menopause depression. 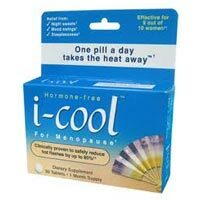 Studies indicate that women who take this supplement experience some relief as opposed to those who took a placebo. Effectiveness can vary from person to person, but it seems to be particularly effective against hot flashes. There had been worries in the past that Black Cohosh could cause liver damage, but testing showed that those who had developed liver problems had not used true Black Cohosh. This supplement can cause stomach aches and headaches in some individuals. Isoflavones are a form of phytoestrogens, which are plant chemicals that bind to estrogen receptors and mimic them in the body when estrogen levels are low. It is believed that this supplement can balance a woman’s estrogen levels during menopause. Low estrogen levels are the primary cause for a majority of symptoms, including vaginal dryness, hot flashes, and nausea. Studies indicate that taking soy extracts containing 35 to 120 mg of isoflavones can lessen the frequency and intensity of a woman’s hot flashes. The major risk with this plant extract is for breast cancer in those women who have a family history of it, especially if it’s being taken in concentrated form. Red Clover has been shown in studies to decrease menopause hot flashes and nausea by up to 44%. Red Clover, like soy isoflavone, is a phytoestrogen and should be used with caution by women whose families have a history of breast cancer. It also mirrors estrogen within your body so you experience less symptoms. Red Clover can interfere with the effectiveness of blood thinners, so consult a physician if you are on them and thinking of taking this supplement. Ginseng has no proven effect on hot flashes, but it has been shown to help with nausea, fatigue, insomnia and vaginal dryness. Studies that were conducted indicated that 200 milligrams a day of this extract altered an individual’s mood and helped promote sexual excitement. The sexual excitement caused most of the women in the studies to become lubricated and alleviated dryness. Some research show Ginseng can cause heart problems in women who already have a heart condition, but more tests need to be conducted before that can be said for certain. Dong Quai is a Chines herb that is said to imitate estrogen in a woman’s body. A woman’s estrogen levels regulate her body’s ability to control mood, temperature, and sexual awareness. 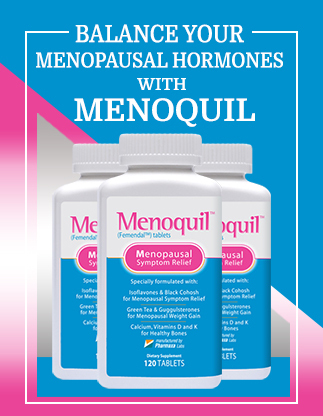 Dong Quai tricks the body into believing estrogen levels have not dropped, preventing the onset of menopausal symptoms. The supplement is meant to alleviate hot flashes and fatigue and preliminary tests indicate that it does, but more research still needs to be done. As you can see there needs to be extensive testing done on many of these supplements before a final verdict can be reached. These supplements are all derived from nature, so they do have beneficial qualities, it just needs to be determined how much of a risk they truly pose. Many of these herbs, when used under the direction of a physician, have proven both safe and effective. You should sit down with your physician and discuss all your options before adopting any type of treatment plan. Your physician can explain in great detail what works and why. He or she can also answer any of your questions so you are fully informed before making your decision.